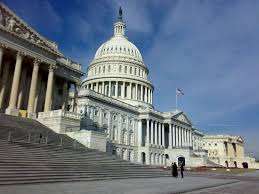 The latest in a long line of letters besieging the US Department of Justice to usurp states’ rights regarding online gambling matters, in the form of another plea to support “Restoration of America’s Wie Act” (RAWA) legislation surfaced this week. This latest letter, dated December 19, 2017, was authored by four US Congressman and was sent to the US’s Deputy Attorney General, Rod Rosenstein, who must oversee inquiries on the topic after the recusal of USAG Jeff Sessions. 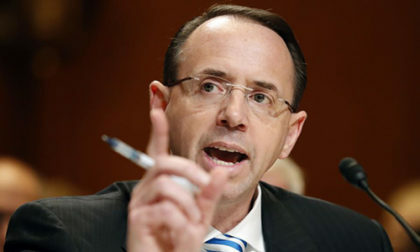 This latest letter, signed by US Representatives Dan Donovan of New York, Tom Garrett of Virginia, Brian Fitzpatrick of Pennsylvania, and Louie Gohmert of Texas, Republicans all, bears a high similarity to a letter sent to Rosenstein just four weeks earlier. That prior letter was the “Senate” version, seemingly, signed by Senators Lindsey Graham and Diane Feinstein. The larger truth is that both letters were almost certainly crafted by lobbyists in the employ of Las Vegas Sands Corporation and its CEO Sheldon Adelson, who continues his one-billionaire war on the entire concept of legalized online gambling and online poker in the US. While Adelson does have a couple of other casino magnates in his camp, Steve Wynn among them, the entire misnamed “RAWA” campaign has been for years an Adelson-funded directive. Adelson, of course, continues to try to purchase federal legislation that might support his Las Vegas casino interests, even though research has shown his beliefs regarding online cannibalism of live-casino businesses to be misguided. Worse, though, has been the years-long, venal display of Adelson claiming that he’s serving some sort of moral high ground by claiming that the only true ethical offering of casinos can be live – or in other words, at his casinos. The good news is that federal support for RAWA-style legislation continues to wane. The bad news is that Adelson is very rich, and he’s likely to continue purchasing the services of corrupt Congressmen to do his bidding, at least as long as Adelson himself is breathing and mostly coherent. He’s 84, and his persistence on the RAWA matter may well be due to the fact that he frankly doesn’t have that many years left. As for this latest letter from Adelson’s just-as-latest Gang of Four, it rehashes the same old fear-mongering claims, including a couple of outright falsehoods. We’ve reprinted it here in its entirety in full-text form, following its posting a few days back to the general public by Poker Players Alliance vice president Rich Muny. Two days before Christmas in 2011, the Justice Department Office of Legal Counsel issued a legal opinion overturning 50 years of interpretation of the federal Wire Act and opening the door to online casinos. The FBI also stated that “online poker could be used to transfer ill-gotten gains from one person to another, or several people,” and has testified before Congress that it has been investigating the use of online casinos by terrorist organizations. Other legal issues arise in preventing online casinos from targeting children and, since the internet knows no state boundaries, in protecting the rights of jurisdictions that bar the activity. These, and other law enforcement issues should have been fully considered before the Justice Department decided to stop fully enforcing the Wire Act against online casinos – but, according to former Attorney General Loretta Lynch, law enforcment concerns were not part of the mix. A decision of this import, and one which carries such law enforcement risks as this does, should only be made after a full and public debate in Congress. As such, we urge the OLC Opinion be withdrawn to stop the spread of online casinos across the country in order to give Congress the opportunity to work with your department, as well as state and local law enforcement, to establish a clear federal policy. Of course, the FBI references are lying nonsense. The testimony referenced was about unlicensed offshore casinos, not regulated ones based in and monitored by individual US states, such as New Jersey. But of course Adelson and his forces must lie about that crucial point, in order to make their argument appear more sound on its face. The same holds for the reference to children being allowed to gamble online and to anti-gambling states being raided, in an online sense, by those choosing to authorize online-gambling services. All US states allowing online gambling require both strict personal identification and age verification and employ state-of-the-art geolocation tracking, ensuring players are indeed within an online gambling state’s physical borders. It’s another lie Adelson and his minions must push in order to sell their bogus claims. Fortunatly, it’s the increasing openness of most US states towards various forms of online gambling that spells the ultimate doom for these RAWA efforts, even if it might take a few more years before we’ve seen the last of them. Eventually, though, like the dodo bird, the concept of RAWA legislation will become extinct.